Business is the cornerstone of prosperity in a community: companies create the resources that support both social development and welfare. Being successful in business is the greatest contribution a person can make to the community, because being successful in business we are able to employ people which in turn allows them and their families to live in the area, attend the local schools, and benefit the whole community in so many different ways. 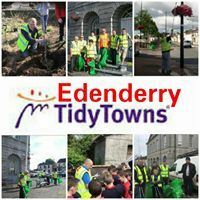 Visit the Edenderry Tidy Towns facebook page here. Irish Rural Link describes itself as a national network representing rural communities and Edenderry as a midsize rural Town fits within the remit of the IRL. The Chamber will work with Irish Rural Link in highlighting challenges and barriers, advocating appropriate policies and sharing experiences and examples of good practice. 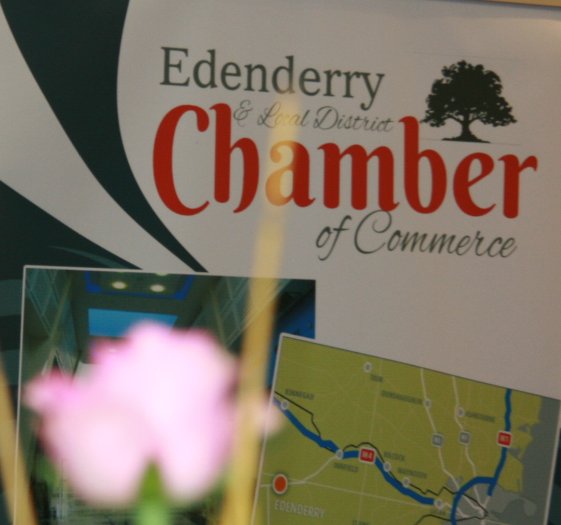 Edenderry Chamber is working with the Property Management Company and Board of Management in Granary Court in prioritising the area for re-enhancement. PMC are planning to invest in the up keep and are working towards hand-over to the Council, liaising with local organisations is key, and the chamber is crucial to bringing about the re-enhancement of the area. As the Playground is located in the vicinity, it is essential to prevent anti-social behavior if money is to be spent. This is an ongoing project of the Chamber. With connections to the Garda Siochana, the sergeant and Crime Prevention Liasion officer are keen to work with the Chamber in developing schemes that ensure prevention of crime. Interestingly crime records have been on the decrease, however stigma and red-zones exisit that can be targeted. Work by the Chamber will specifically focus on the CCTV-CS projects (including the Harbour and Granary Court). The Chamber will set about identifying interested partners in having cameras on their buildings and throughout the Town, and which will be linked to a main server operated by the Chamber of Commerce. The Chamber will aim to identify initiatives that will support CPI's, further the Chamber shall aim to promote Crime Prevention in the built environment. The concept of CP through environmental design is rarely considered resulting in trying to factor in crime prevention aspects afterwards, thus the Chamber shall aim to encourage CP-Design considerations in future developments. Written submissions to the Local authority is of paramount importance to the community, and the Chamber will undertake to write submissions on certain matters that will bring about positive changes to the Local Area and will contribute to the Local Economy. The Chamber Representative, John O'Connor attends PPN meetings. The Chamber is registered under pillar 1- under the banner of 'Better Business means Better Community".